Growing up in a tropical and humid climate, it's always hard to maintain skin that is properly hydrated with just the right amount of moisture that your skin needs. 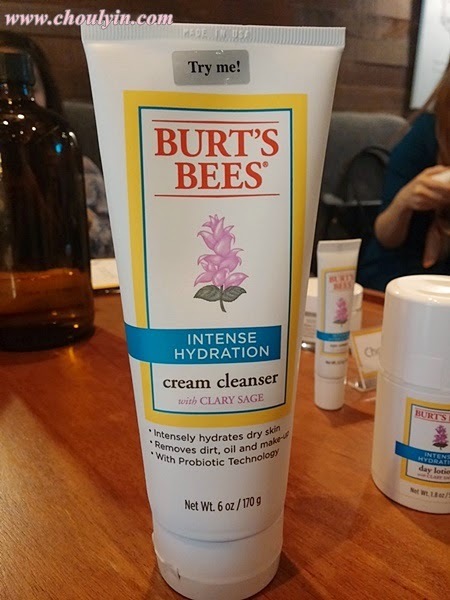 Understanding this special requirement in Asian skin, Burt's Bees is back, and this time it's better than ever with Clary Sage, which has an exceptional ability to trap and retain moisture. As a whole, Clary Sage, a remarkable botanical that thrives in its harsh environment because of its ability to retain moisture, is the inspiration behind Burt’s Bees Intense Hydration, their natural ode to soft, supple, revitalized skin and our best natural anti-aging solution. Best used as a whole set, the cream cleanser leaves your skin incredibly soft while the day lotion, eye cream and night cream help reduce the appearance of lines and wrinkles. Add the treatment mask for an immediate dose of hydration to give your skin a revitalized look. 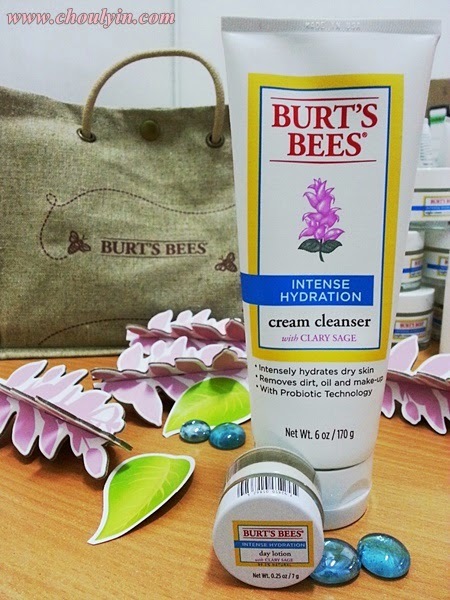 Love your skin like never before with Burt's Bees' fast-absorbing natural day lotion for dry skin. Infused with Clary Sage, the best anti-aging moisturizer for the daytime is clinically proven to provide intense hydration and also helps reduce the appearance of lines and wrinkles. 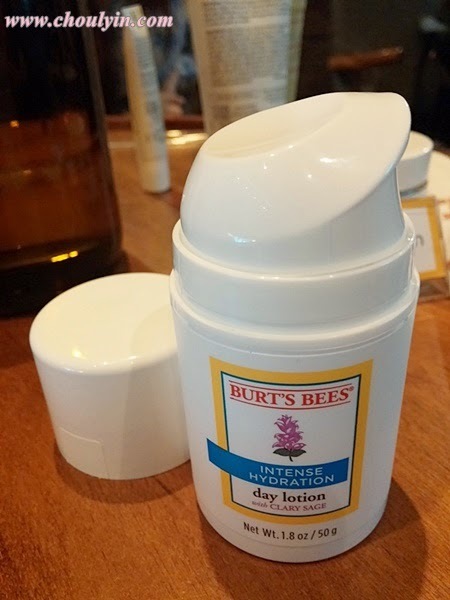 Burt's Bees carefully crafted formula also helps increase skin’s ability to retain moisture, so your dry skin is left feeling soft and supple for a revitalized look. With Clary Sage to the rescue, it intensely hydrates dry skin while helping to reduce the appearance of lines and wrinkles. 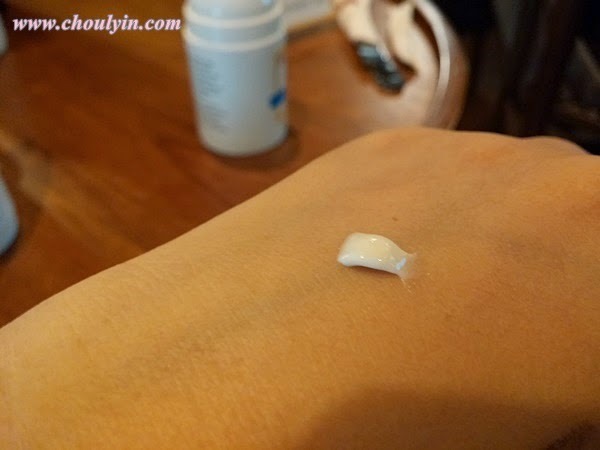 It has a non-greasy formula, and absorbs quickly into the skin. 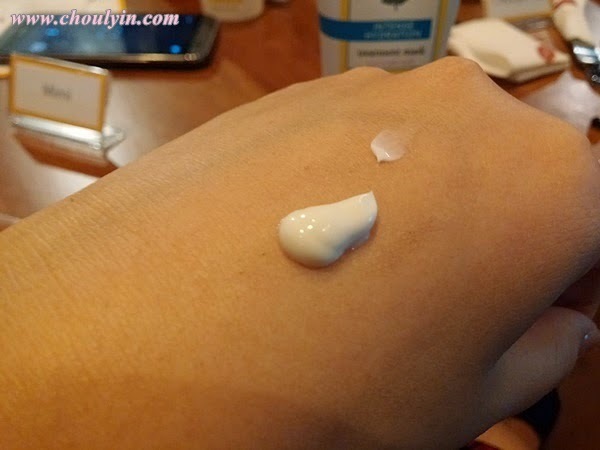 I tried this on after using the cream cleanser, and I must say that this product really helps to smoothen my skin, and absorbs fairly quickly, leaving a non-oily feeling. I don't have to wait for it to dry, and I can just put on my make up after using it. Good night dry skin. Beauty sleep takes on a deeper meaning with their rich, natural night cream. 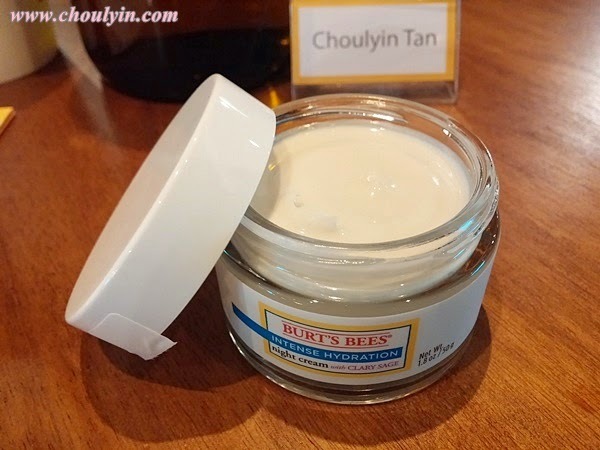 Infused with Clary Sage, this is Burt's Bees' best nighttime wrinkle cream that is clinically proven to provide intense hydration and helps increase skin’s ability to retain moisture. 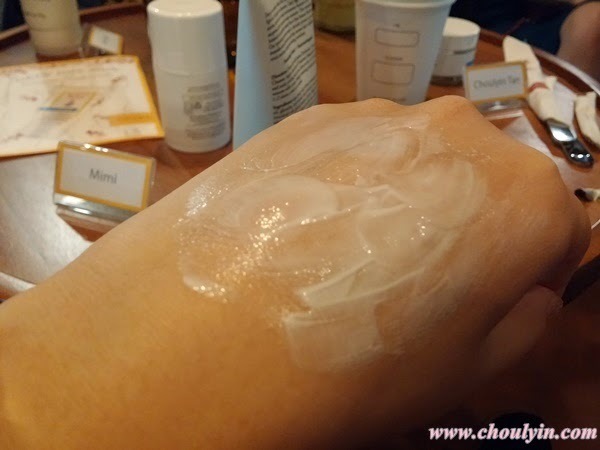 The nightly anti-aging moisturiser also helps reduce the appearance of lines and wrinkles. So you can wake up to skin that feels soft, supple and smooth. Have dry skin? Look no further. You’ll love what you see when you use the best eye cream for dry skin. 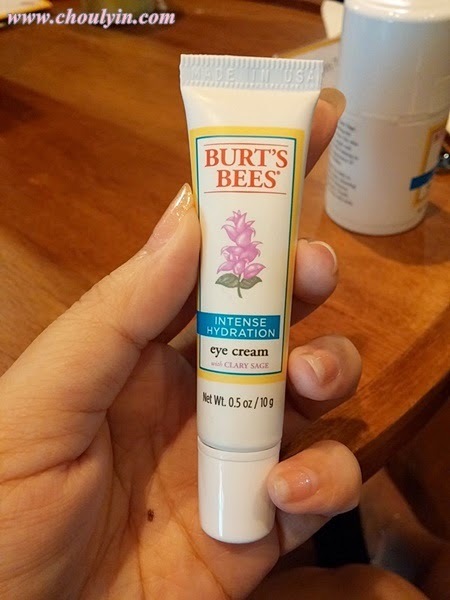 Clinically proven to provide intense hydration, Burt's Bees' anti-aging eye cream also helps increase skin’s ability to retain moisture and reduces the appearance of lines and wrinkles. Infused with Clary Sage, the lightweight natural eye cream leaves the delicate skin around your eyes feeling softer than soft. Suppler than supple. And lovelier than lovely. 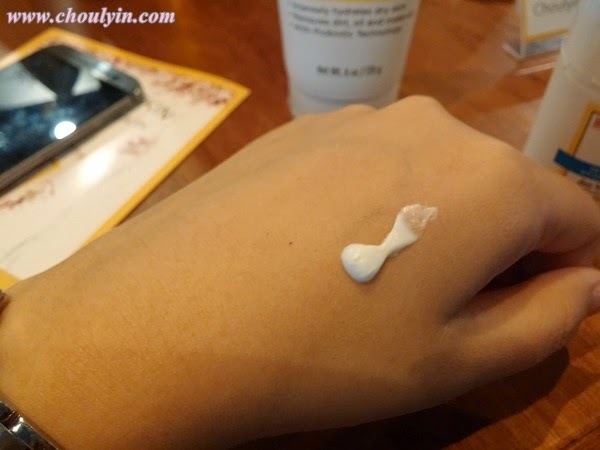 I love the head of the eye cream. It's made of a special type of rubber that you can use to rub lightly on your eyes and the dark circles to gently massage them. It has a cooling effect on the skin, and because of its rubberised tip, you are able to control the amount of product that comes out, and don't have to worry about using too little, or too much. This is one of the products in the Intense Hydration range that has won an award, and that is the 2013 SELF Healthy Beauty Award. The cream cleanser proves nature can create the most remarkable of things. Inspired by the Clary Sage plant's ability to trap and retain moisture in its harsh environment, the natural cleanser hydrates your skin while leaving it super soft and oh-so supple. Clinically proven to provide intense hydration, your skin will not only drink in all the good but keep it in. Apart from intensely hydrating the skin, the cleanser also removes dirt, oil and make-up. Enhanced with probiotic technology, and is Dermatologist Tested and Noncomedogenic. This is their star product in the Intense Hydration range. So much so that it won the 2013 Award for Allure Best of Beauty! Rightly touted themoisture makeover, this product gives you skin the gift of hydration it dearly deserves. Infused with Clary Sage, the facial treatment mask is clinically proven to provide immediate intense hydration and help increase skin’s ability to retain moisture. So your skin will possess softness and suppleness like never before. I tried this treatment mask on for about five minutes, and after I removed it, my skin felt very soft and smooth. I think what drew me most to this product is that even though it's a normal mask, it can also be used as an overnight mask and you can wear it to sleep, and wake up the next morning feeling really hydrated. I could see the difference immediately. 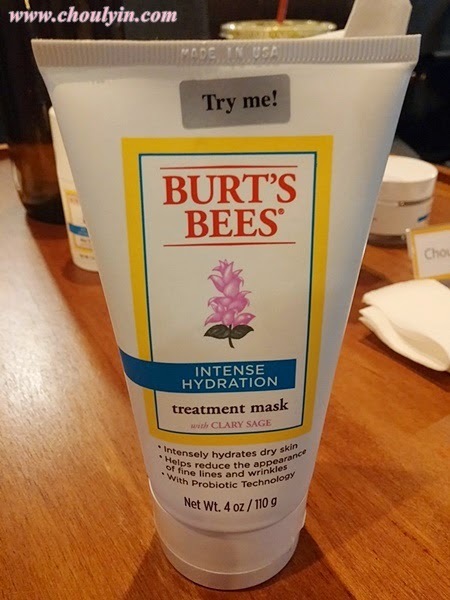 So, all this talk about Burt's Bees, but how did they come about? In 1984, Maine artist and single mom Roxanne Quimby uses leftover beeswax from Burt Shavitz's honey bees to make candles for sale, and that was the year Burt's Bees was born. In 1991, Roxanne perfected a 19th Century lip balm recipe and Burt's Bees Beeswax Lip Balm is added to the line up. It quickly became a bestseller, and still is. In 1998, their Lemon Butter Cuticle Cream marks their expansion into personal care. This product has won more than 30 awards, including four Allure Best of Beauty wins. Burt's Bees has grown from strength to strength, expanding to more markets and countries, at one time even releasing up to 30 products in a year. 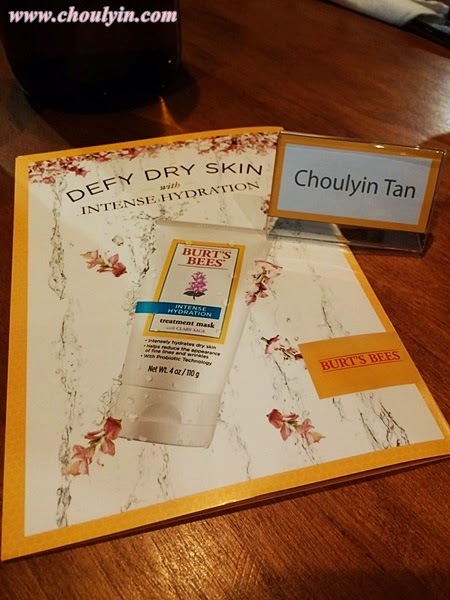 The best part, I would say, about Burt’s Bees® is that they have been offering distinctive earth-friendly, natural health and beauty care products for 30 years. From a beekeeper’s backyard in Maine to the leading edge of natural, Burt’s Bees knows natural body care solutions from head-to-toe and operates with The Greater Good™ top of mind. They contain No parabens, phthalates, petrolatum or SLS and no animal testing. It's called The Greater Good. And it's how this is going to help change the world. So what do you think of the current Intense Hydration range? Sounds delectable and too good to be true? It was to me too, until I tried it! and I would say the same for you, what better way to see for yourself how good the product is until you try it for yourself? Yes, you can try out this product too as I have two sets to give away thanks to Burt's Bees!!! So what do I have to giveaway? Comment below what is the star ingredient in the Intense Hydration range and what are its benefits, and leave your email address so that I can contact you if you are the winner!!! This contest will be open until 11:59pm on 13th October 2014, and announcement of the winner will be on 15th October 2014. I will use random.org to select the winner, and if you are the winner, you will have 24 hours to revert to my email, failing which a new winner will be chosen. 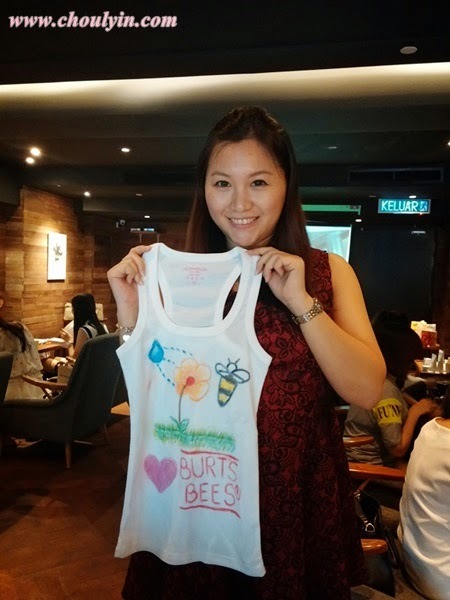 Redemption date for the products and vouchers will commence on 20 – 31 October 2014 at the Burt’s Bees store at The Gardens. 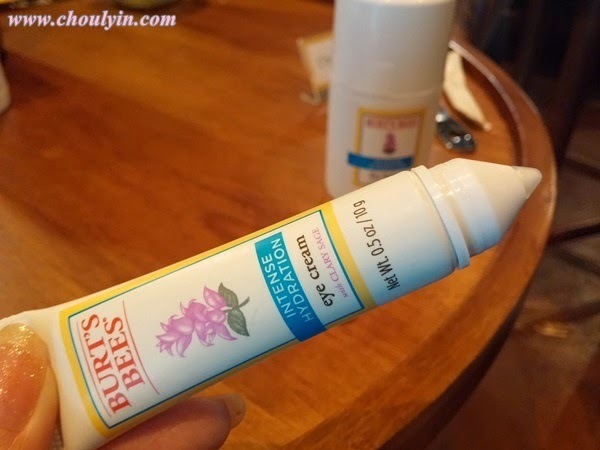 I've heard of Burts Bees before this but never got to try it here in Kuching! I'd love to give it a go given the chance. The star ingredient is Clary Sage!